Whenever you’ll go to restaurant you will demand ice cold water to the waiter. But did you know how much it damage to our body. 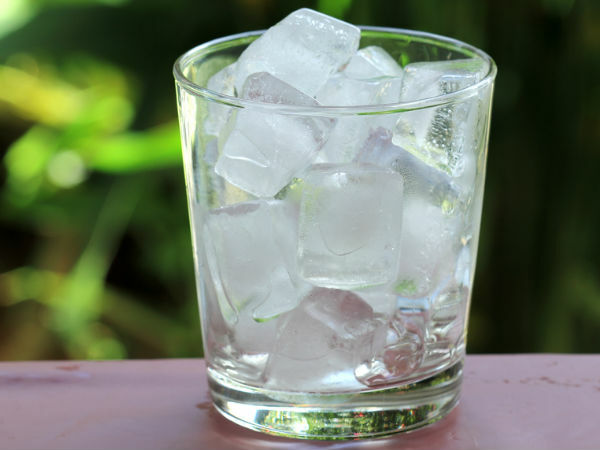 Ice water is very much harmful to the gallbladder. Our body temperature is 98.6 degree Celsius. Depending on that our body needs 20-22 degree temperature water. The cold water takes 6 hours to digest in the stomach. Hot water takes 3 hours to digest and warm water takes 1 hour to digest in the body. Digestion: When you drink cold water then your blood vessels constrict. It is the cause of digestion and there would not be proper hydration. Nutrition Declines: Your body spends the energy to balance the body temperature instead of digesting the food and absorbing the nutrition. It creates water loss. Immune System: Drinking cold water immediately after a meal accumulates mucus in the body. So, immune system functions turn slow and you easily get cold and diseases. Piles and Bowel Disease: Stool freezes in the same way as your keep sweet in the fridge. It is the cause of piles and bowel disease. The stool becomes hard. Fat: If you drink ice water or any other drink during your meal then fat deposits in the abdomen. In this case, body has to make double effort to digest the food. Calories: Many people said that more calories are burned by drinking cold water. But it is not necessary to give stress to our body. There are other ways which can be useful to burn the calorie. Hot Water: Water which is the room temperature level keeps your body normal. It is quickly digested food. Stomach cleans easily and it also clears the blood.